Toyota group affiliate Aisin Seiki (Toyota, Japan) is establishing two new parts manufacturing subsidiaries in India. Aisin Automotive Haryana Private Limited (Rohtak) and Aisin Automotive Karnataka Private Limited (Narasapur) will serve automakers in Northern India and Southern India, respectively, and join existing manufacturing subsidiary Aisin NTTF Private Limited (Bangalore). Aisin will also start up a plant in China to manufacture sunroof systems in March 2012. Aisin Wuxi Body Parts Co., Ltd. (Jiangsu Province) is a joint venture with Hsin Chong Machinery Works and Elite Sewing Machine Mfg. Co. 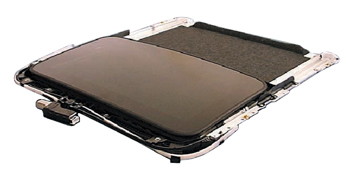 The Aisin Group started manufacturing sunroofs in North China (Tianjin) in 2005 and South China (Foshan) in 2006. By establishing a production base for sunroofs in East China (Huadong), too, the Group will strengthen its local production system in China’s rapidly growing automotive market.